Alien Bee: Epic Image: THE INCREDIBLE HULK Taking A DUMP! 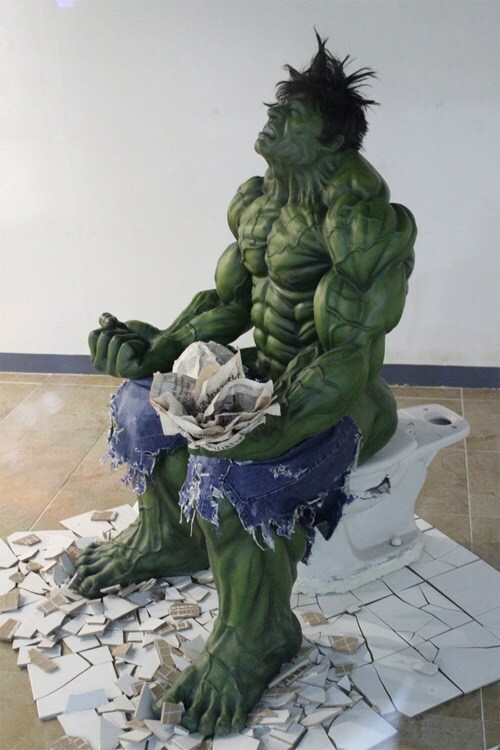 Epic Image: THE INCREDIBLE HULK Taking A DUMP! Straining and all! Have you ever seen a more epic image of THE INCREDIBLE HULK than this one as he takes a DUMP? This is an actual statue on display at a mall in Seoul, Korea.